Product prices and availability are accurate as of 2019-04-21 18:33:41 UTC and are subject to change. Any price and availability information displayed on http://www.amazon.com/ at the time of purchase will apply to the purchase of this product. 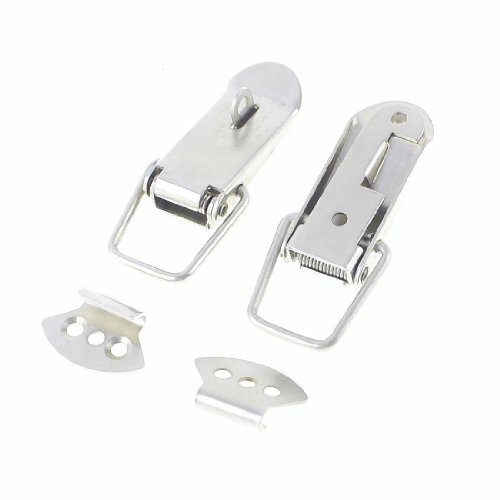 Straight Loop spring loaded Catches Toggle Latches, with mounting holes.High strength catch and strike. Economical and compact size.Pull up ability, no secondary lock.Spring loaded with excellent tension, easy to install.Screw installed, but there is not included the screw.